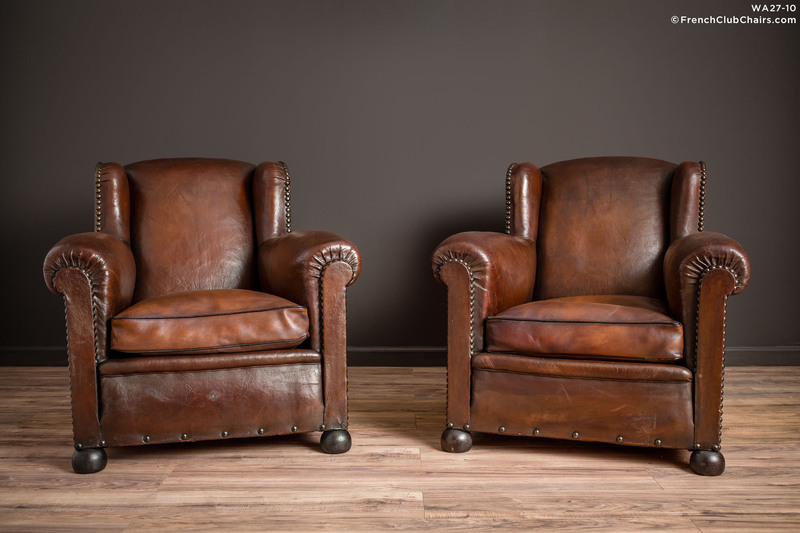 Lovely French Wingback leather club chairs from the 1940s have restored cushions. This is the pair that you want to spend the whole afternoon wit a great novel. Excellent overall condition. measurements: depth-42", width-35", height-36", seat depth-24", seat width-18", seat height-16"